It really couldn’t be easier! Simply shop on site between now and Sunday August 30th and every $50 you tot up will be counted as one entry to win the $1000 credit prize of the week! The credit prizes of the week will really let you grab life by the deals (with $1000 to spend on GrabOne and GrabOne Store to be won this week), refresh your wardrobe (with $1000 to spend on shopviva.co.nz next week), and make a great escape (with $1000 to spend on GrabOne Escapes up for grabs the week after!). You don’t have to spend $50 on a single deal, or even in a single transaction. We’ll keep track of your spending so you can keep clocking up the entries every time you shop on site. 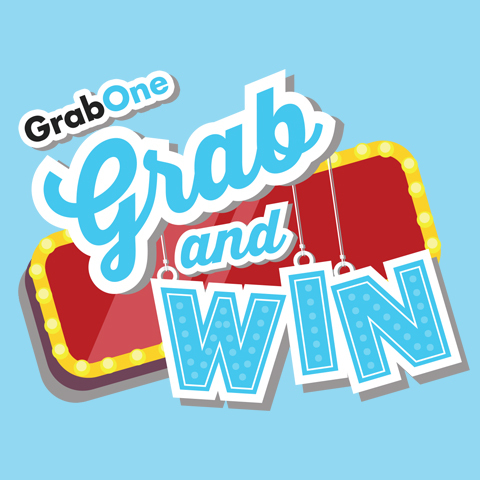 So start grabbing and start winning with Grab & Win, now on GrabOne! Every $50 total spend by a user on the GrabOne site of www.grabone.co.nz, www.grabonestore.co.nz, www.graboneescapes.co.nz and www.grabonebottle.co.nz during the promotional period will be counted as one entry into the draw to win the advertised prize package. $50 does not have to be spent on one deal or in one transaction. If a deal is labelled as having ‘bonus entries’, by buying this deal you will get the number of bonus entries specified in addition to your regular entries for every $50 spent. $1,000 of GrabOne site credit. For every $50 aggregate spend on site made between 00:00 Wednesday August 12th and 23:59 Sunday August 16th. This will be credited to the winners GrabOne account and they have 12 months to spend it on www.grabeone.co.nz and www.grabonestore.co.nz. $1,000 of ShopViva site credit. For every $50 aggregate spend on site made between 00:00 Monday August 17th and 23:59 Sunday August 23rd. This will be credited to the winners ShopViva account and they have 12 months to spend it on the site www.shop.viva.co.nz. $1,000 of GrabOne Escapes site credit. For every $50 aggregate spend on site made between 00:00 Monday August 24th and 23:59 Sunday August 30th. This will be credited to the winners GrabOne account and they have 12 months to spend it on www.graboneescapes.co.nz. Prize draws will take place on Monday, August 31st, 2015. The winners will be notified by email within 7 days of the prize draw. The prize is neither transferable nor redeemable for cash. Any credit unused at the expiry date cannot be transferred or exchanged for cash. The Promoter and any other agencies associated with this promotion will not be responsible for any late, lost or misdirected entries nor for any problems with any computer network, lines, servers, Internet providers or traffic congestion on any computer network, including any injury or damage to a participant or any other person’s computer related to or resulting from participation in this promotion. We will make every effort to contact you if you are a winner, but if we cannot reach you or you do not respond within 72 hours GrabOne reserves the right to re-draw the competition and pick a new winner.